When I was a kid I read every piece of hunting advice I could lay eyes on, including articles from Petersen's HUNTING. One recurring theme was just how important great optics are when hunting. Over and over I read: "Get yourself some good glass." Finally I wore the old man down enough to buy me a pair of Steiner 7x30 Military/Marine binoculars for my 15th birthday, and holy cow, what a literal eye-opener. For years that little $200 porro prism served me perfectly for deer hunting in Oklahoma. But the patina wasn't worn off them yet before I was high in a treestand digging around in my backpack. The binocular strap got tangled in my grunt tube lanyard and I watched in horror as my good glass plink-o'ed off every branch before striking the ground with a sickening thud. I knew they were ruined before climbing down to see, but what do you know, they were still as clear as ever. Toughness aside, the optical quality of that Steiner bino for a kid who'd only used cheap Chinese-stuff was stunning. I began packing my Steiners on duck hunts, amazing my father by calling out the species on the wing before he could even see any birds at all. I'd likely still be using that unit if it hadn't been stolen out of my truck; but I remain spoiled on good glass, and I've remained a fan of Steiner optics even after trying every top-end brand available. Certainly, the German company has evolved right along with the competitive optics market and continues to innovate as always. Its new HX Series competes with, if not beats, the best optics in the world for its price point. 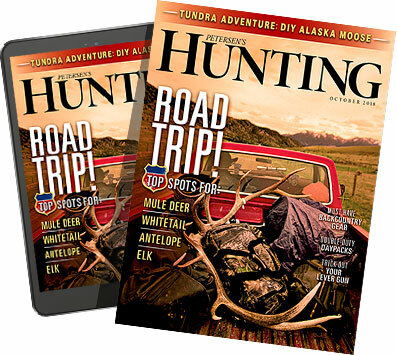 It's also loaded with features geared toward American hunters. I've been using Steiner's HX 10x42 model recently, and they typify what I believe are the best things to look for in quality binoculars. Steiner's HX series binoculars are available in a variety of magnification and objective lens sizes to fit any hunting situation. There are a couple of traits that set Steiner apart from other top-end binoculars, and one of them is durability. I believe it's due to the company's background as a rough and tumble optical provider that rose from the rubble of post-war Germany in 1947; since then Steiner has provided optics to militaries the world over, including thousands of M22 units sold to American forces in 1988. It builds its binos from robust materials by way of a manufacturing process that stresses a few extra ounces is worth protecting the consumer's investment. To that end, the HX places its lenses in a patented Makrolon polymer chassis. This super-plastic is darn-near indestructible; it's lightweight and doesn't conduct heat and cold like metals. It also doesn't crack or bend like magnesium. Plus, it's coated in a hide of NBR rubber. I dropped my HX 10x42 test unit from chest level 10 times on grass and the unit was no worse for wear. Would it survive a treestand fall? Probably, but I'll let you conduct that test on your own dime. The HX is purged and filled with nitrogen that insulates the optical system against temperature changes to prevent internal fogging. Steiner invented this process in 1973, and today it's widely copied. I doubt the unit would break under normal, strenuous use — it's actually tested to 11gs, which is much more than the pressure applied by my dunk test — but if the unit ever did, the company backs its glass with a lifetime warrantee. While you could argue that a mere couple of the other European optics makers are comparable when it comes to optical quality, in my mind Steiner is tops in durability. It also leads in proprietary lens coatings that are color-optimized for the greens and reds of animals against a dark backdrop often associated with dawn and dusk — the times hunters are most likely to need it most. At the heart of the HX is Steiner's world-glass German glass that's ground to perfection via an intensive 460-step process. They're tested, inspected and tested again. Finally, a molecular, patented nano-coating is applied to the outside lenses that fill in microscopic pores to make the lenses shed water, grease, dirt and even fingerprints like water off a duck's back. This coating makes hunting and viewing wildlife in the rain possible. Every model in the HX series features high-precision, roof-prism design and rubber-armored polycarb frames for durability. Another area where Steiner has separated itself is in the smaller details. The HX is flush with innovative features. For example, one of the biggest causes of eye fatigue and a stealer of clarity is sun glare that strikes the ocular lens from behind the viewer and reflects into the eyes. Think about watching TV; the less light that's in the room, the better the picture looks. That's one reason Steiner engineered unique, half-moon eye shields and added them to the HX's eyecups. The soft and comfortable flaps keep light from striking the eye and the lens, and also guard against dry eyes and fatigue. When I choose to wear sunglasses, I simply roll them back over the eyecups, out of the way. Other features unique to the ergonomic HX unit include the company's proprietary ClicLoc system so that the carry strap/harness and its lens covers are quickly attached and detached from the unit without the jingling split-ring rigs necessitated by most binoculars. Rather, a flexible plastic tab fits perfectly into the female counterpart and clicks in. The carry strap and lens caps can be completely removed by a deliberate push of a button. The system is quieter and quicker than most other attachment systems and is unique in the optics world. Little details, like half-moon eye shields on the HX's eyecups, blocks light from seeping in around the sides of the ocular lenses to reduce eye fatigue when glassing for long periods of time. One of my favorite HX feature is its "fast close focus" knob. In hunting, things happen fast. Many times, when a deer appears quickly, I've put my binoculars up and cranked the focus wheel around and around for several seconds to focus it only to have the blurry animal vanish. The HX remedies this with its oversized, high-speed focus wheel that ranges from 8 feet to infinity in less than one full turn. In another stroke of genius, the company labeled the wheel so a simple glance reveals where the focus is currently set, saving time. After spending time with earlier Steiner models and now the HX, it's obvious the company spent much time consulting its US staff to design a binocular that maintains its European quality but has the features American sportsmen demand. While Porro prisms have their place, Americans much prefer roof prisms, and so Steiner designed it's HX series around the compact and optically spectacular Schmidt-Pechan BaK 4, phase-corrected roof prism design. This means that they're made of the most technologically advanced prisms available. A "fast close focus" knob allows you to focus from 8 feet to infinity in less than one full turn of the knob quickly and easily. The HX series is available in 8, 10 or 15x magnification; with a retail price of $999, and a real-world price around $850, there likely isn't better value for a high-end binocular available. I grew up using Steiner optics and still do, only now I've upgraded to not just good, but with the HX 10x42, great glass.